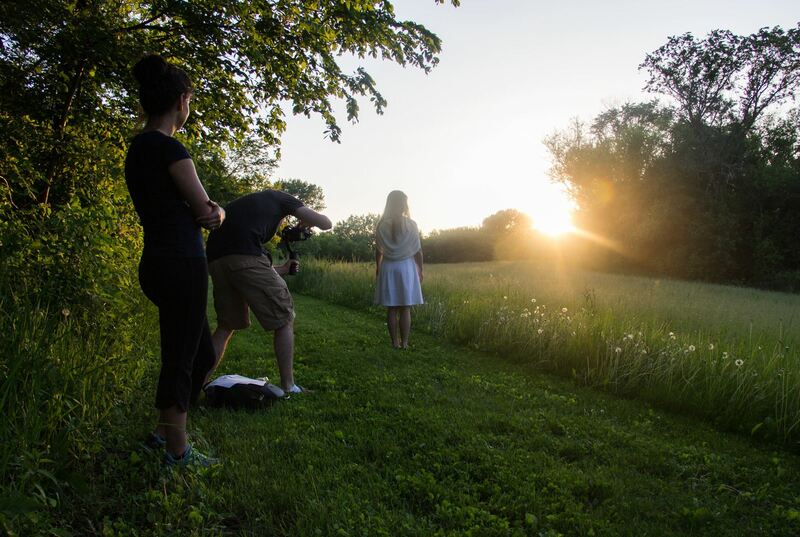 This summer, Bethany theatre professor Benji Inniger collaborated with several media arts graduates to create the short film Rise for the MNKINO Film Score Festival. This festival features short films with original scores performed live by an orchestra at the MNKINO showcase, which took place at the Science Museum of MN on Thursday evening, July 28, 2016. Take a moment to enjoy this beautiful short film before we tell you more about it! Olivia recruited recent grad Jeremiah Kuehne (2016), her “go-to for Cinematography.” This festival was a particularly good fit for Jeremiah, who works for a company that specializes in syncing live music with visuals (also founded by a BLC grad). She also brought in 2015 grad Leah Kurth. “Our main goal was to create something that would show off Benji’s composition. He was the one who brought us together for this project so it was our way of thanking him,” described Olivia. Once the idea was chosen, Olivia wrote the screenplay, Jeremiah planned the shots, and Leah helped flesh out the story. 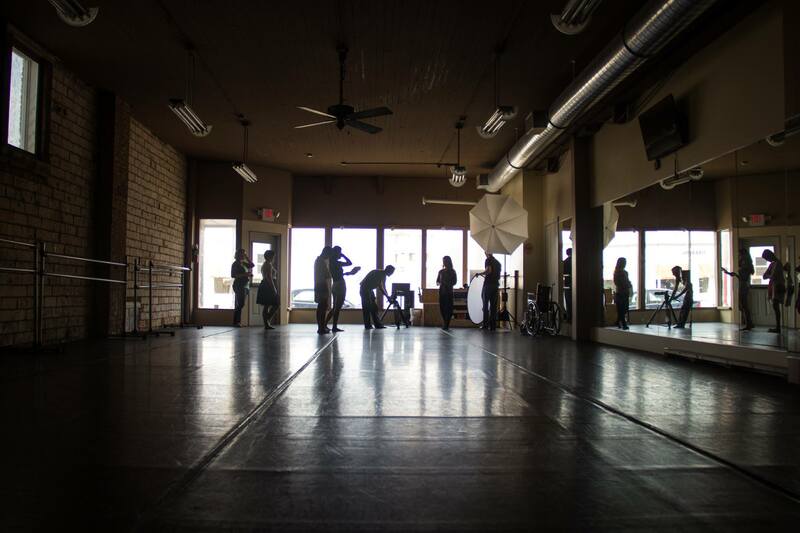 From there, Benji brought in dancer Casey Morgan to perform in the film. South Central College student Dan Smith also helped during the shoot, which was completed in the course of one evening and the following morning. Locations included Wildwood Park, Bethany Lutheran College, and the Mankato Ballet Company. Here are a couple stills from this stage of production. Here in the studio, we see a lot of dialogue-free films as we put together the international Speechless Film Festival every spring. This is a particularly lovely example of a film driven by the score, and we’re delighted that not only was it made locally, but also by our colleagues and graduates. Benji’s score enforces the mood and tone while also looking into the thought-process of the dancer. Benji worked with the musicians and festival staff to rehearse in preparation for the showcase, and unsurprisingly the film showed very well at the Science Museum. “We received many heartwarming comments afterwards. I couldn’t be more proud of the film and can only hope to take what I’ve learned and make it even better next time,” said Benji. You can see more photos from the making of this short on Benji’s website.